Right said Fred, have a cup of tea…. 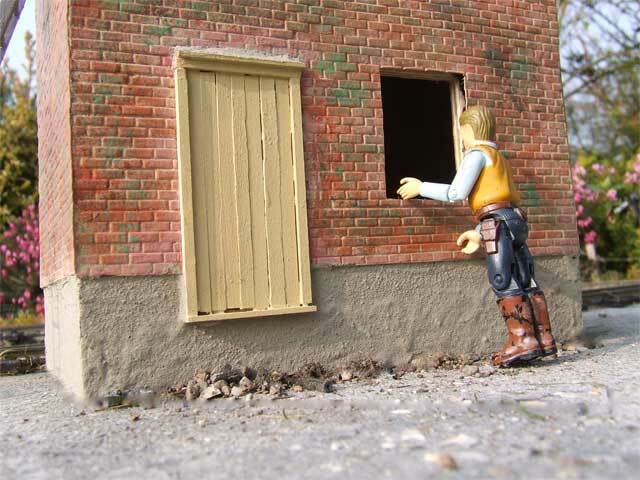 Well, it certainly is beginning to look like a building isn’t it.Â He was just checking to see what’s going on when he looked round the corner and who did he see! "Hello Job! Just admiring my pointing while having a cuppa!" 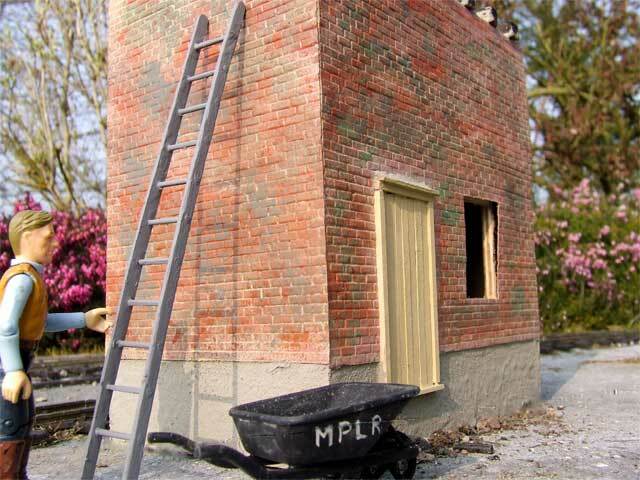 Well, they’ve still got a few things to do as you can see.Â The water tank has yet to be lifted to the top and the pipework for the water, they really need to get going on this while the good weather is with us. "Well, Fred, while I'm here I'll just have a closer look. You just finish your tea, mate!" Oh, and the window frame has got to be put in, still not long now and it’ll be all up and running. 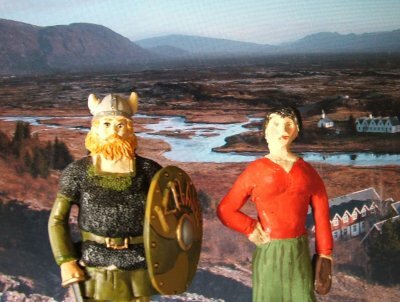 Those of you who follow the goings on of the MPLR will remember well the holiday romance between our very own Miss Pugh and Haraldur the Viking.Â He even came to England to visit her a few months later! Well, there was such a flurry of excitement when the postman delivered the post to the office today, because you would never believe it but Miss Pugh received a postcard from Haraldur all the way from Iceland! 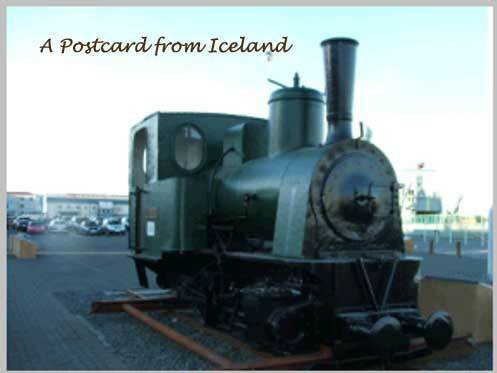 The short answer is no, she ran to the engine shed to seek out Hamish to ask him what the loco is in picture and why is it in Iceland! So, does anyone have an answer for her out there? 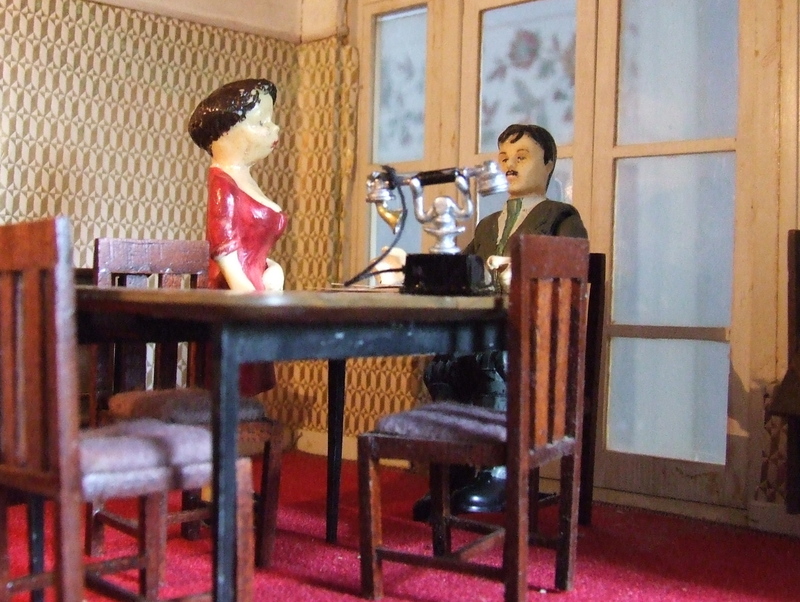 Of course Miss Pugh has changed a bit since her sabbatical in Iceland and possibly is having another little romance with the MPLR’s accountant….. But, that’s another story!